Shoplifting is also called retail theft in Washington, and it's a common crime in Bellevue, and just about everywhere else. While many people view shoplifting as a relatively minor criminal infraction, the truth is that it's a serious crime with penalties that can be life-altering. A conviction for this crime could even land you behind bars, but our Bellevue shoplifting lawyers can help if you've been charged with retail theft. The professional Bellevue attorneys at the Law Office of Jason S. Newcombe have more than thirty years of combined experience. We will seek ways to have your charges dropped or mitigate the punishments associated with a conviction. The value of the allegedly stolen items will influence the severity of your punishments. If the stolen merchandise was valued at more than $5,000, the criminal charge will likely be first degree theft. This is a Class B felony in Bellevue, which imposes penalties of up to $20,000 in fines and 10 years in prison, if convicted. Additional civil damages may be awarded to the owner of the merchandise, which will have to be paid by the person convicted of shoplifting. If the value of the stolen merchandise was between $750 and $5,000, the charge will be a Class C felony. This serious Bellevue shoplifting crime is called second degree theft, and the penalties include fines of up to $10,000 and up to five years in prison. If the dollar amount of the merchandise stolen was less than $750, the crime is called third degree theft. This is a gross misdemeanor for shoplifting, and a conviction could lead to a year in Bellevue jail and fines totaling $5,000. 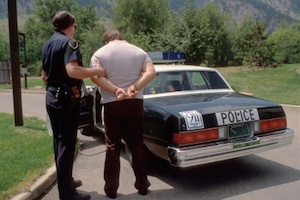 You will also acquire a criminal record if convicted of shoplifting in Bellevue. This could affect your ability to find a good job or a place to live, underscoring how damaging a retail theft conviction truly is. Our Bellevue shoplifting attorneys will help you face these charges head-on in an effort to minimize your punishments, so schedule your own consultation today. An experienced Bellevue attorney can help you in countless ways. Washington prosecutors often seek maximum punishments in retail theft cases, so our Bellevue shoplifting attorneys will do everything they can to mitigate the punishments you're facing. Our professional lawyers have considerable experience handling all sorts of shoplifting cases in Bellevue. We realize that being arrested for retail theft is embarrassing, and that you want to stay out of prison and avoid paying expensive fines. Now is not the time to allow the stressful nature of a Bellevue shoplifting charge to prevent you from defending your legal rights. Contact our Bellevue shoplifting lawyers today and get trustworthy counsel from a team of lawyers who care about the resolution of your case.